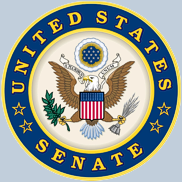 Acronym used by the United States government for Senate Select Committee on Intelligence. The SSCI provides oversight on NSA & CSS intelligence activities. The SSCI was created to oversee and report the intelligence activities and programs of the United States Government to the Senate. It submits proposals for legislation and is mandated to make every effort to assure that the executive and legislative branches of the United States are provided with the data needed to make sound decisions affecting the security and vital interests of the Nation, while at the same time conforming with the Constitution and laws of the United States. Five-term Arizona Senator Barry Goldwater openly expressed his belief in UFOs. Sometime between 1963 and 1965 he made a personal visit to Wright Patterson Air Force Base where UFO information was then stored. He requested access but was turned away. He asked General Curtis LeMay, Chairman of the Military Joint Chiefs of Staff at the Pentagon why he as a Senator he was not allowed access. LeMay angrily told Goldwater that he [ Goldwater ] had no need to know and threatened to end their personal friendship if he continued his inquiries. On October 4, 1955, while traveling on a train through the Soviet Union on his way to Czechoslovakia, Senior Senate member Richard Brevard Russell, Jr. saw two saucer shaped UFOs about 25 to 35 feet in diameter. They were slightly yellowish in color and had two lights on top. The upper portions remained stationary, while the outer sections of each disc appeared to revolve. They were first sighted near the ground. Then one of the discs ascended into the sky, passing over the train as it did so. Russell summoned his aid U.S. Army Colonel, E.U. Hathaway and his interpreter Ruben Efron in time to get a good look at the second disk. The sighting was highly classified for 30 years until being released under the FOIA in 1985.